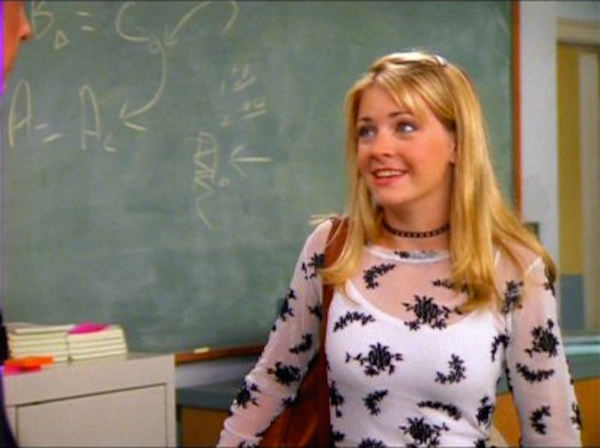 In our minds, Sabrina Spellman is the epitome of a teenage witch (one we all wanted to be growing up). She’s been casting spells since 1996 when Sabrina, the Teenage Witch first premiered on ABC — not long before Harry Potter and his fellow classmates began their time at Hogwarts casting their own spells. But wouldn’t it be fun to know what would happen if Sabrina had the opportunity to go under the Hogwarts Sorting Hat? Well, Melissa Joan Hart (AKA Sabrina) has no doubt about her Hogwarts placement. Sabrina was taught to always use her magic skills wisely, thanks to her 600-year-old aunts. So Gryffindor definitely seems like it would be the right place for her. Yet, even though Gryffindor appears to be the most logical placement for this teenage witch, ultimately, Melissa would much rather be in a more… exciting house. “I would love to be in Slytherin, I mean that’s the most fun one, right?” Hart added. To that we say, NOOOOOOOO. Team Gryffindor all the way. On the flip side, Hart is convinced she’d be besties with Hermione, which is something we can definitely get behind. To really bring things full circle, Hart once met Daniel Radcliffe at a movie premiere. Her makeup artist is a huge Harry Potter fan, so she tracked him down to say hi. When she did, he was just as excited to meet her as she was him. Adorable. We had no idea that all witches and wizards know each other — but it makes sense. The magic community is probably pretty small.